The Invicta Dynamos fell to a 5-0 road defeat at the hands of the Swindon Wildcats on Saturday night despite a battling display from the 13 players that could make the trip to Wiltshire. Missing for the Dynamos were defencemen Arran Strawson and Ryan Giles whilst playmaker Callum Best was also absent. Conor Morris remained in goal with no back-up on the Dynamos’ roster. Morris was called into action after only 14 seconds with a save from Birbraer and then saw a Nell tip go whizzing wide shortly afterwards. The Wildcats maintained the early pressure on the Mos goal with Kostal and once again Nell seeing efforts denied by the netminder whilst, at the opposite end of the ice, Matt Foord registered the away side’s first shot on target with a long range effort. The opening strike unsurprisingly fell the way of the Wildcats with Sam Bullas feeding off Nell’s cutting pass and dispatching beyond Morris for 1-0 on 03:50 – greeted and celebrated with a teddy bear toss. Once the bears were all cleared from the ice, Morris was again called into action – firstly performing a double save with bodies flooding the Dynamos’ zone and then frustrating Bebris who thought he’d scored on the ten minute mark. Tempers flared on 11:34 with Bebris charging at Miles who initially held the Wildcats man before the pair dropped the gloves – an even fight resulted in both players sitting a total of 6 penalty minutes each. Aaron Nell shaved the paintwork off the Dynamos’ goal post in the 14th minute and with the period coming to a close both Ryan Morgan for the Dynamos and Sam Bullas for the Wildcats each had efforts saved with the frame ending 1-0 to the hosts. The second period saw Owen Dell have the first effort on goal – netminder Marr making an easy glove catch. Morris then used his feet well to deny Sam Jones from doubling the Wildcats’ lead before tempers flared once again – Jake Stedman boarding an opponent which resulted in a pile of bodies pushing and shoving each other. Once order was restored Stedman was punished with 10 + 2 minutes in the penalty box. 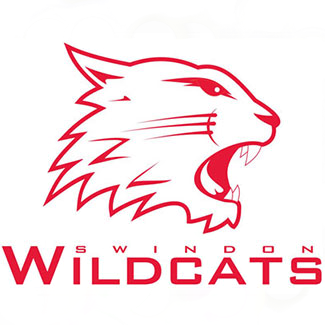 The resulting powerplay was enough for the Wildcats to make it 2-0 through Bebris on 24:07 – frustratingly for the Dynamos the goal came 3 seconds from being back to full strength. Three minutes later the game was effectively out of reach for the Mos when Bebris made it 3-0 on 27:21. The period closed out with Morris pulling out more saves having faced a total of 24 in that time zone. The final period saw the Wildcats score again early in the period – Rutkis lifting the puck over the grounded Morris on 42:40 for 4-0. The Mos had their first powerplay of the game in the 45th minute with Holding penalised for elbowing Joe Allen and a bench penalty for misconduct giving the Dynamos a 5-3 but despite plenty of puck possession the Mos failed to hit the back of the net. A further powerplay fell their way in the 51st minute when Taylor threw a late hit on Zosiak but once again the Kent side were shutout. On 53:11 Plewes made it 5-0 – with Zosiak getting a 10 minute misconduct penalty to end his night and the Mos closing the game out with just 11 skaters.